Today’s photo: Blue and Gold. 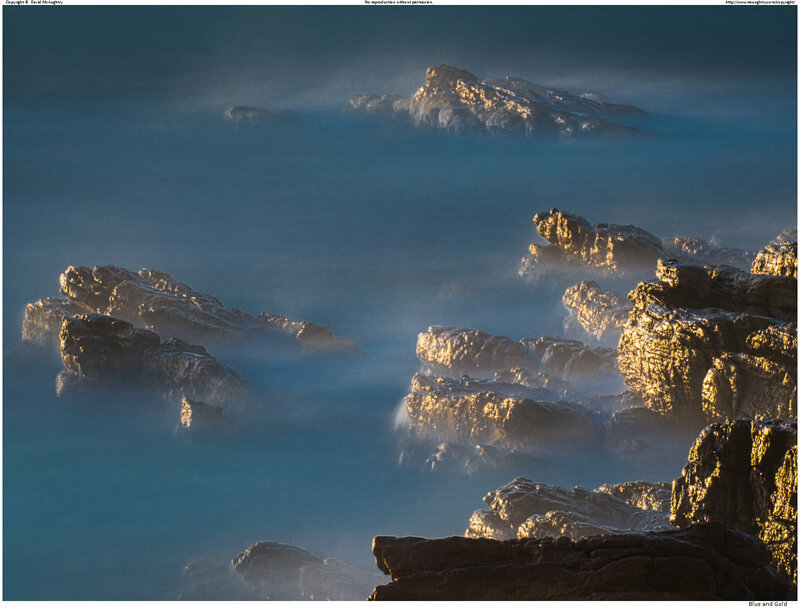 A long exposure shot taken near Simonstown in the Cape Peninsula, as the rising morning sun illuminated the jagged sandstones of the False Bay coast. A further by product of my endless (and so far unsuccessful) attempts to capture effectively the sun rising behind the False Bay lighthouse. These attempts over the past 3 years at least have the merit of getting me out at dawn, and then I tend to notice the amazing colours the coastline can generate. Like many of my long exposure shots, this was taken on a tripod, with a ball head to stabilise the camera. But which ball head should I use, many of you ask? This and one other question is answered in my new site for traveling photographers: www.shootlight.photo. Note both the amusing play on words in the title, and the new .photo domain. I also have used the .photo domain name at www.mcaughtry.photo, where I keep a portfolio of my best work, arranged by the categories of water, land, people, and beach. If you want to see more photos like the one above, that’s the place to go.